Hayao Miyazaki, the retiring czar of Japanese animation, said Friday that while he will no longer be at the forefront of creating feature-length animated movies, he will be a “freed man” pursuing his own interests as long as he can. 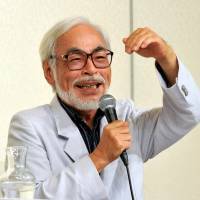 “I know I made headlines by signaling my intention to retire numerous times before, but this time I’m serious,” Miyazaki told reporters in Tokyo’s Kichijoji district, where he appeared on stage with producer Toshio Suzuki, his long-time colleague, and Studio Ghibli head Koji Hoshino. In a written statement, Miyazaki described himself as “becoming slower and slower,” saying his age, 72, has left him more prone to fatigue and less able to endure all-day sessions at his work desk. “My days as a director of feature animation are over,” he said. On his plans for retirement, Miyazaki said “there are many things I want to do” but stopped short of elaborating. “If I made some public announcement (about what I want to do) and failed to achieve it, that would make me look really stupid,” he said. But Miyazaki did express an intention to get involved in organizing new exhibitions at Ghibli Museum in Mitaka, western Tokyo. 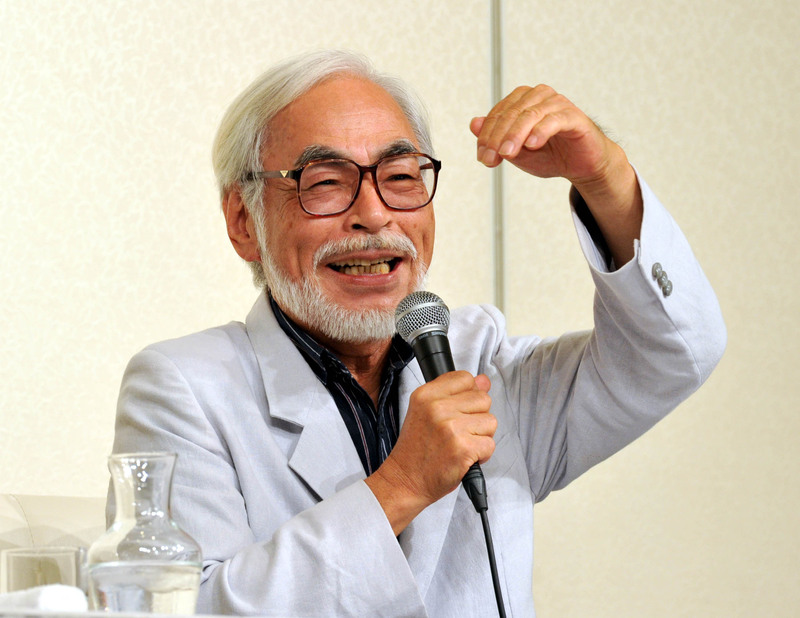 Suzuki said he’s truly satisfied that “Kaze Tachinu” (“The Wind Rises”), will be Miyazaki’s last feature animation. The film is essentially the real-life story of aircraft designer Jiro Horikoshi, spotlighting his quixotic pursuit of becoming a pilot. Set in the 1930s, it also offers a glimpse into the gloomy atmosphere prevailing in Japan at the time, what with the aftermath of the 1923 Great Kanto Earthquake and the Great Depression that started in 1929, not to mention the approaching destruction of war. The film is being touted as an incarnation of Miyazaki’s ambition to explore realism, a clear break from the anime master’s well-known penchant for fantasy that has defined his earlier works. Since its premiere July 20, the movie has drawn an impressive audience of 7.27 million people and box-office revenue of ¥9.23 billion as of Thursday. “I always thought it would be quite lame if he retired as a forgotten man, but with the latest movie doing well, I think the timing of his retirement is fine,” Suzuki said. Despite much media speculation, nobody has been named Miyazaki’s successor at the helm of Studio Ghibli. “Now that it’s been decided I’ll be gone, I hope that young staff will take advantage of my exit to speak out more and pitch their own ambitious ideas,” Miyazaki said. After founding Studio Ghibli in Koganei, Tokyo, in 1985, his fame continued to rise with a spate of blockbusters, including “Majo no Takkyubin” (“Kiki’s Delivery Service”) in 1989, “Mononoke-hime” (“Princess Mononoke”) in 1997, and “Sen to Chihiro no Kamikakushi” (“Spirited Away”) in 2001. “Spirited Away” won him an Oscar for best animated feature and a Golden Bear at the Berlin International Film Festival. It is still the reigning king of Japanese box-office revenue with about ¥30.4 billion. Miyazaki’s anime have always been popular among Japanese, as evidenced by the box-office sales they generate. “Howl’s Moving Castle” raked in ¥19.6 billion, while “Princess Mononoke” took in ¥19.3 billion. Along with “Spirited Away,” these movies occupy three of the five top spots in Japanese cinematic history.